We see it all the time – strata properties that are allowed to fall into such a state of degradation that major repairs are required to fix the problem, leading to overblown budgets, huge disruptions and unhappy owners. But there’s another way – having a preventative and proactive maintenance approach. By addressing maintenance regularly, with the help of a reliable contractor, such as Higgins, you can save yourself time, money and stress in the long term. 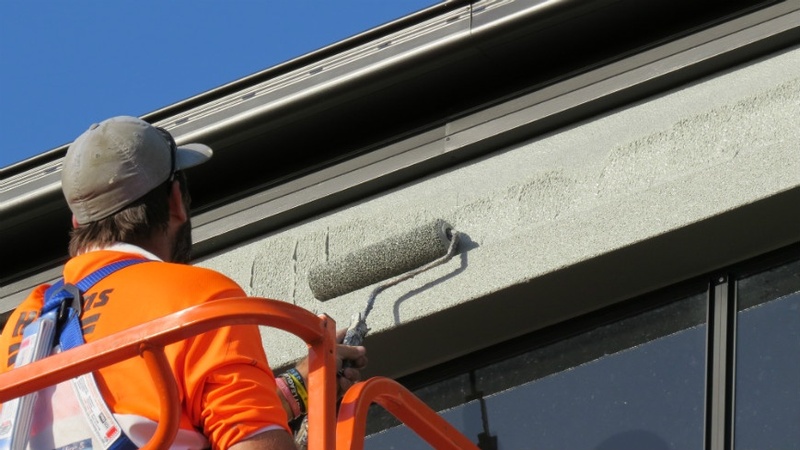 Higgins offers several maintenance painting solutions, from pay-as-you-go to even spread, so you can pick the solution that suits your budget and needs perfectly. As a Strata Manager, you have a lot of day-to-day responsibilities that can be difficult to juggle. Preventative maintenance means one less thing on your plate, as maintenance is regularly scheduled without you having to think about it. It also means fewer rude shocks, as more frequent inspections mean potential issues like water damage or rust are detected and addressed early, before they develop into much more significant problems. When you work with a trusted contractor, you can be confident that they are up to date in the latest painting and maintenance developments, as well as with the most recent safety and legislation requirements. Higgins, for example, boasts a tri-certification accreditation as part of our commitment to safety, quality and the environment. Working with a high-calibre contractor is especially important if you manage a strata property that is a significant landmark or has historical importance. For example, when we secured the maintenance schedule for the iconic Colgate Palmolive building in Sydney’s Balmain, we took great pains to match the existing colour scheme exactly, carry out exterior works in a timely manner so residents could continue to enjoy the use of their balconies, and ensure the safety of the many locals who use the site for walking and jogging. It is this sort of attention to detail that makes Higgins the preferred painting contractor for Strata Community Australia. Working with the same contractor for multiple jobs also means that contractor will be more familiar with the property, making it easier to get approval from the strata committee for future jobs. By proactively maintaining the strata property, you can stay ahead of complaints from owners and residents, as issues will be addressed before they are even aware of them. Smaller maintenance jobs on a more regular basis are also far less disruptive to residents than major repair works, all of which amounts to happier, more satisfied owners and residents. Want more great tips? Then you need The Strata Manager’s Best-practice Guide to Painted Properties, which tells you everything you need to know about managing your painted strata property for ultimate success.